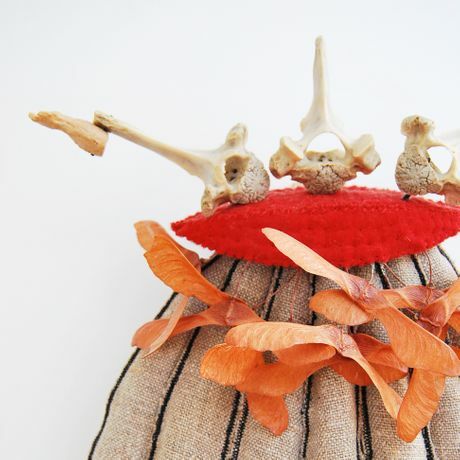 Aspex is thrilled to present ‘Making It, Not Writing It’, a craft exhibition from local maker Malisa Sledmere. Sledmere is a contemporary mixed media artist who acquired a degree in three-dimensional design at Camberwell School of Arts and Crafts, before completing an M.A. in Design for the Environment at Chelsea School of Art and Design. The exhibition consists of a collection of delicate, handmade textile sculptures. The artwork has been inspired by Sledmere’s memories of both the touch and feel of materials over five decades of her life, looking at objects, architecture and life with curiosity. Malisa said “From as far back as I can remember I have made things, encouraged by my mother and with no heed to the resultant mess”. “This new show incorporates some of my daughter’s printed fabrics in some of my constructions. It seems that the commitment to the handmade is in the family”. Aspex thrives to support the local craft community, launching it’s international open submission competition ‘Craft Emergency’, in collaboration with Making Space earlier this year. ‘Autobiography – Making it, Not Writing It’ is open from 1 June to 7 August.